Loyal friends and fans, we will be open for dinner service Friday, Aug. 29th and Saturday, Aug. 30th. Luce will be closed on Monday, Sept. 1st in observance of Labor Day. The consummate steak lover’s steak. Featuring HeartBrand’s®, our 12oz Ribeye is hand-cut and fork-tender with ribbons of creamy white marbling. Intensely rich and flavorful. Supremely tender and juicy and hand selected from the very finest center cuts of Akaushi Beef – all-natural and heart healthy steaks of the highest quality available. 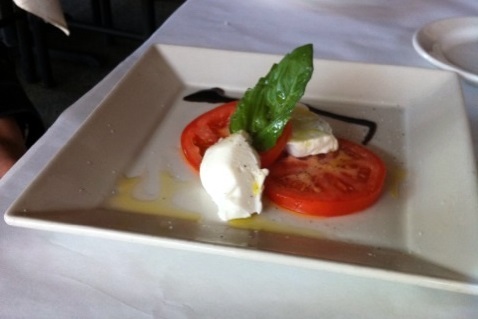 Fresh, locally grown, Texas Heirloom Tomatoes are going to be the co-star of our Caprese Salad, pictured below, which also showcases our Housemade, Mozzarella di Latte, Basil and Olive Oil.